Very Good. 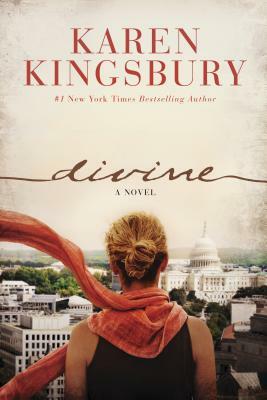 Divine by Kingsbury, Karen, 2007-06-09. Trade paperback (US). Glued binding. 355 p.
Very Good. 1496406583 ALL BOOKS SHIPPED WITHIN 1 DAY OF PURCHASE! Good. PLEASE READ: FORMER LIBRARY MP3-CD, COMES IN NICE HEAVY DUTY CASE, CD IS CLEAN.................CASE-AUD-6. Very Good. Divine by Kingsbury, Karen, 2006-03-28. Glued binding. Paper over boards. With dust jacket. 351 p.
Every Karen Kingsbury book is excellent - I've not been disappointed yet!! I couldn't put it down! It is a great story and a great tool for sharing the love of God. You will find yourself somewhere in this book. Karen Kingsbury takes her writing to a new level with this book. I could not put the book down because of the suspense and twists and turns. The remarkable thing about this book was how much information went into describing and enabling the reader to better understand the cycle of abuse. The most heartwarming and soulwrenching part of this book was the example of God's redeeming and unconditional love for his children regardless of who they are. Karen Kingsbury also demonstrates through her characters and story line just how much the Holy Spirit transforms and empowers people who believe in him.